Digital Subscriptions > Singletrack > 124 > GRAYSON PERRY, BLOKE ON A BIKE. 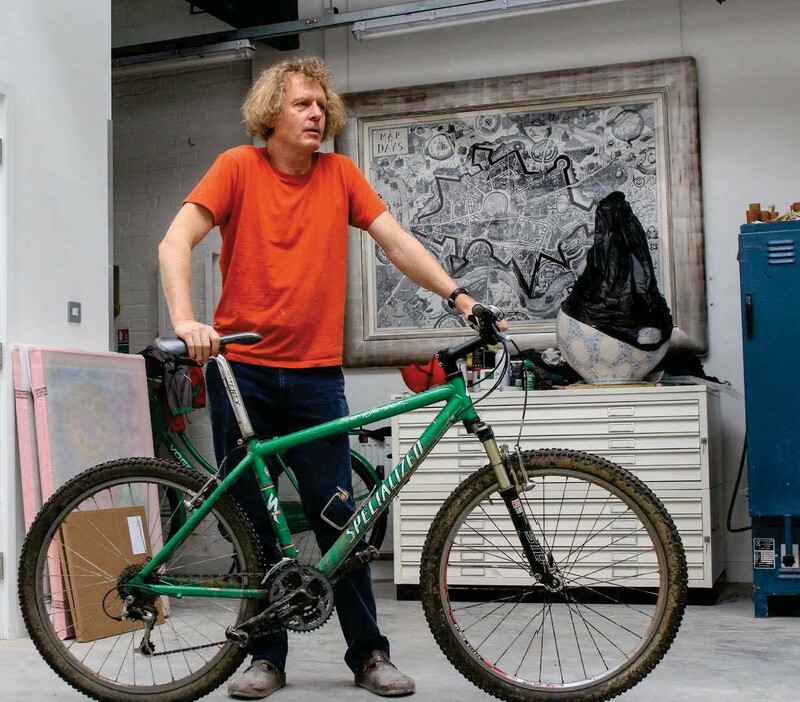 The artist and TV personality Grayson Perry is famously a keen mountain biker. Hannah travelled to his north London studio to discover that the legend might be overshadowing the reality. I’d seen a few articles about Grayson Perry in which his love of mountain biking had been mentioned. One notable example appeared with the click-bait headline ‘Cycling is the perfect sport for transvestites’. I wasn’t especially interested in his choice of attire (or even tyre…), but I did think it would be interesting to see what this Turner Prize-winning artist might have to say about mountain biking. After all, he’s perhaps as well known for his TV shows examining themes of community, personality, self and masculinity as he is for his pots, tapestries and other artworks. 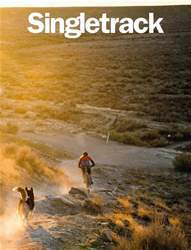 Such themes are surely relevant to mountain biking? He answers the door to his London studio and I’m ushered past a green Dutch bike and collection of cycling apparel. A couple of helmets, gloves on a radiator. Clipless shoes and overshoes suggest these are the belongings of more than just a casual urban cyclist. A water bottle, wet lube, talcum powder (I’m not sure what that’s for), all sit on a plan chest, next to a huge gourd-shaped pot half shrouded in plastic. I can’t help but suspect that the plastic is covering a huge phallus. Beyond the pot is a giant pink bike with a dropper post – an art project, built to his design by Dear Susan bicycles.